Catherine may be one of the most desired girls in Wonderland and a favourite of the unmarried King, but her interests lie elsewhere. A talented baker, she wants to open a shop and create delectable pastries. But for her mother, such a goal is unthinkable for a woman who could be a queen. Disclaimer: I was given a copy of the book by the publisher for an honest review. As you may already be aware I personally love a good retelling and Marissa Meyer can be considered one of the best at executing this thanks to her astronomical (and out of this world) Lunar Chronicles series. 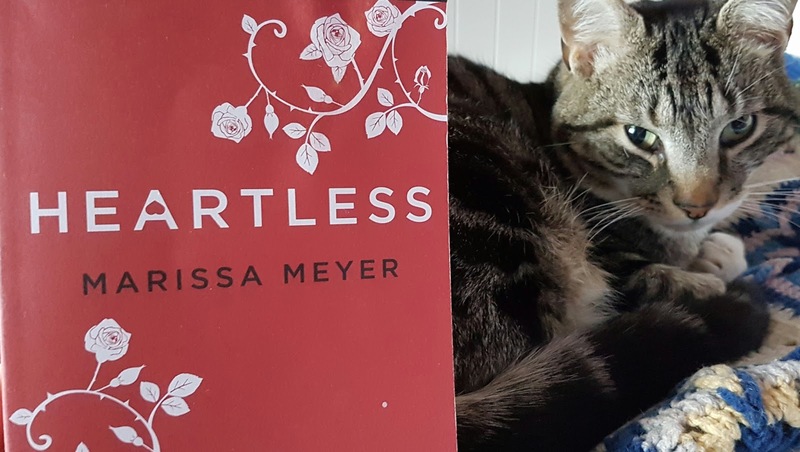 So, naturally Heartless was always going to be on the lists of books to read in 2017 as her use of familiar characters blended together with exciting plot lines is enough to hook you for a few hours. 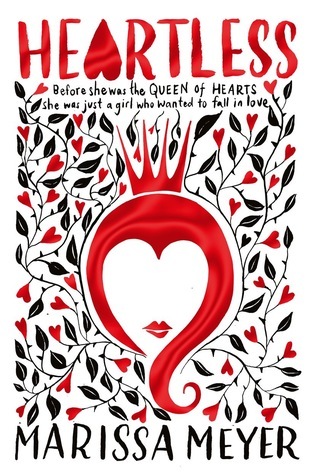 Heartless follows Cath as she tries to pave her way in an overly sexist society where the king resembles Tweedledum, without his brother Tweedledee. Her love of baking is enough to make your mouth water as you too want the sweet treats that are made, but ultimately her decisions lead her down the path to the Queen of Hearts which we all know. We are met with familiar characters whose actions we can expect to alter the story one way or another. He is no Cheshire Cat, but I love him all the same. We have the ever lovable if hugely cryptic Cheshire cat, those from the Mad Hatter’s Tea Party, the Mad Hatter himself and the inclusion of the Jester whom is both mysterious and lovable. They add elements of intrigue and excitement forcing the plot forward while also creating awkward encounters and shows of bravery. The inclusion of the ever present danger – The Jabberwock(y) adds a sense of mystery, almost a who-dun-it scenario for the reader while Cath’s focus is elsewhere. The writing is classic Marissa Meyer, it is immersive with plenty world building and character development. The story fluctuates in pace, sometimes it goes so fast you are wishing for your brain to process faster what is happening yet other parts are sluggish, dragging their feet to the next scenes. The plot has almost too much happening in a way and that means that the reader is often swamped with the various plot points we are being directed into. Overall I enjoyed the story that was told and seeing how decisions – made by Cath – impact on each other that leads to the end result. Would I say this book is at the same level as her previous releases? Not quite. The book doesn’t quite read as well and the story, although great to read lacks the same spark of imagination that Cinder had. I would rate this book at Four Stars .